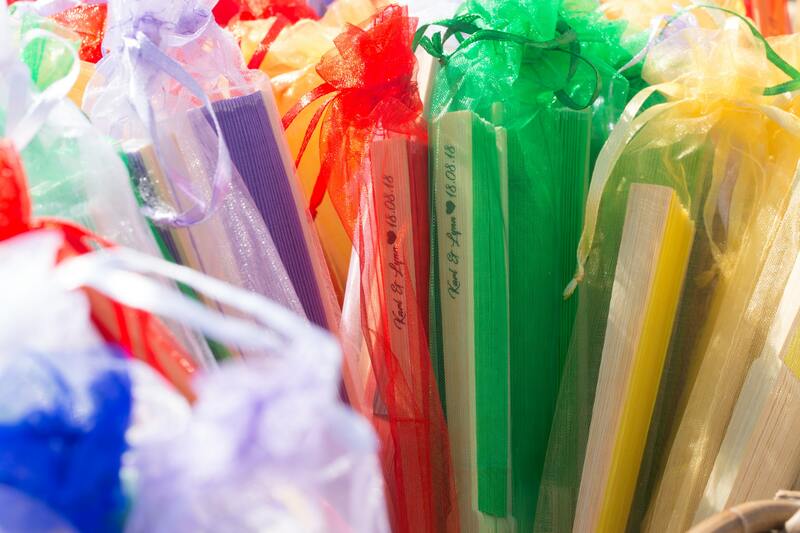 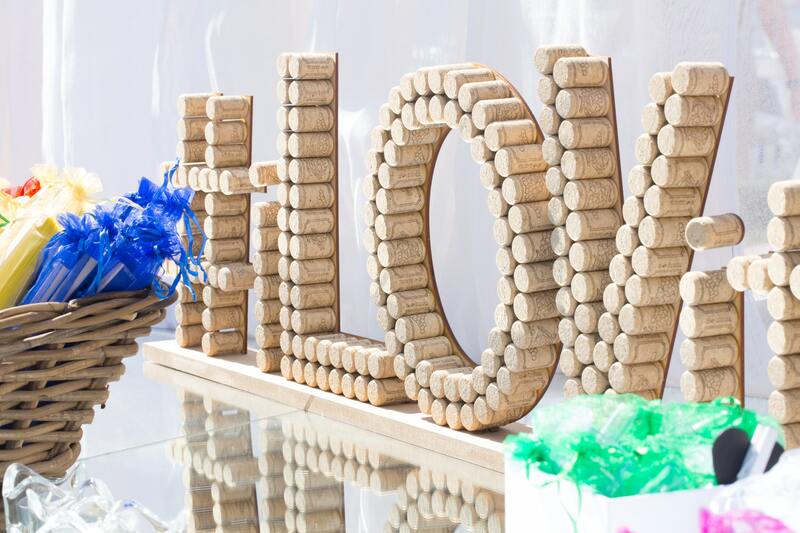 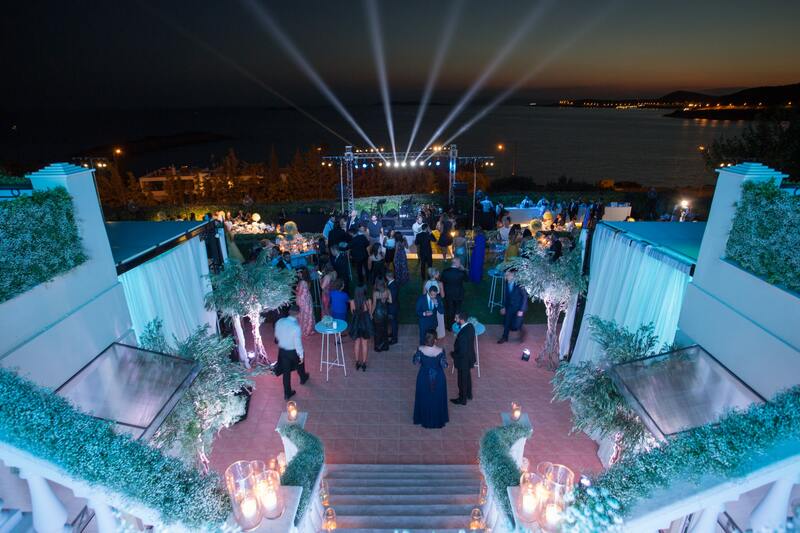 How can someone complete a romantic and dreamy wedding proposal? 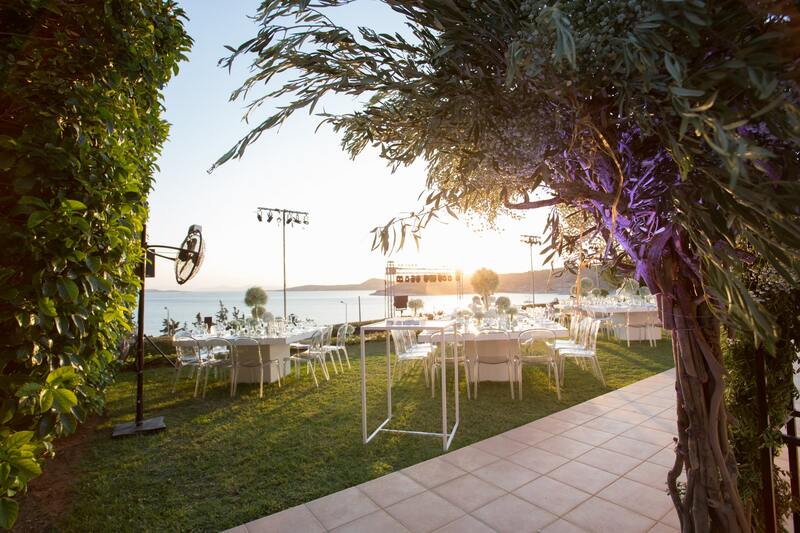 Karl & Lynn decided to host their wedding in a destination that they both love and knew that could have an amazing time with their friends and family. 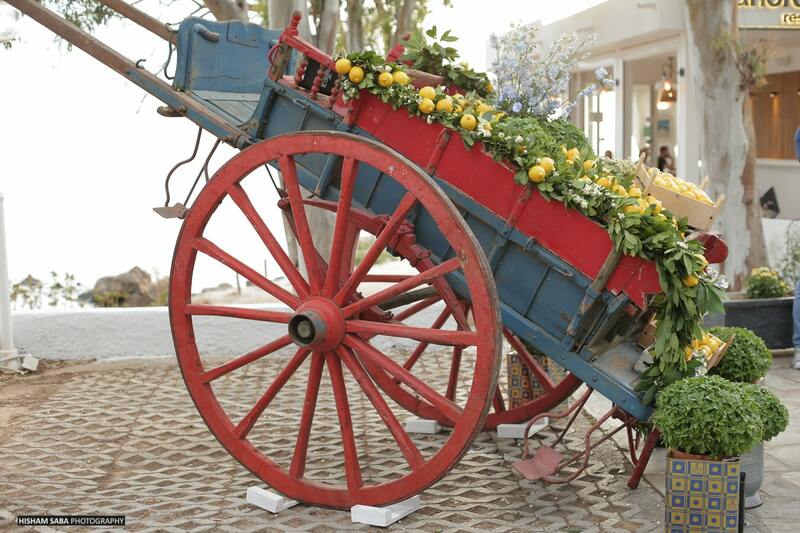 It all started when he proposed in Greece during their summer holiday. 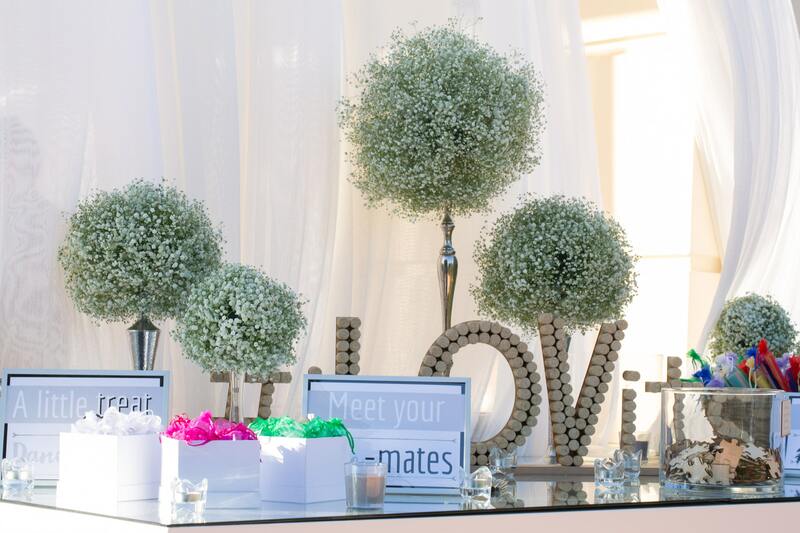 She said YES and they came back to celebrate on a long weekend Wedding Ceremony and Reception. 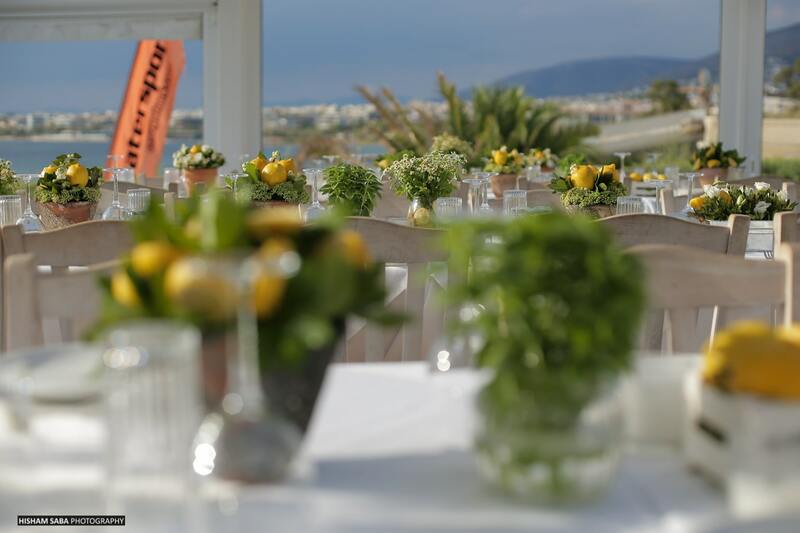 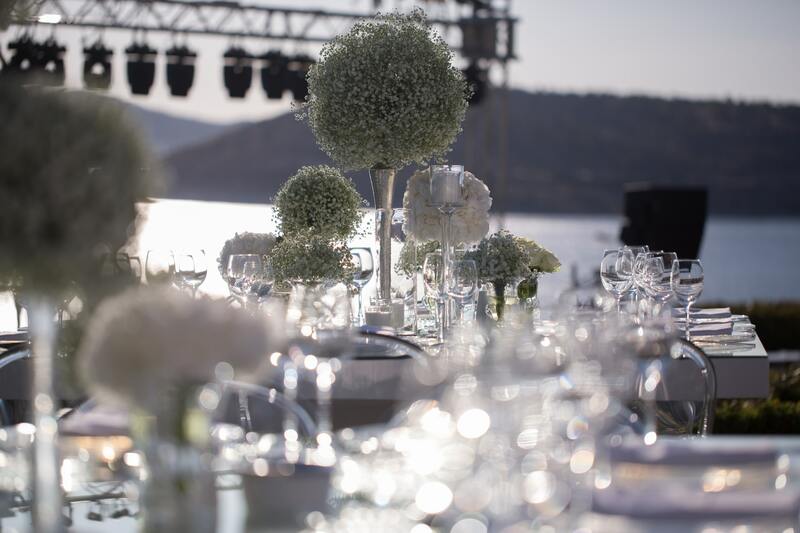 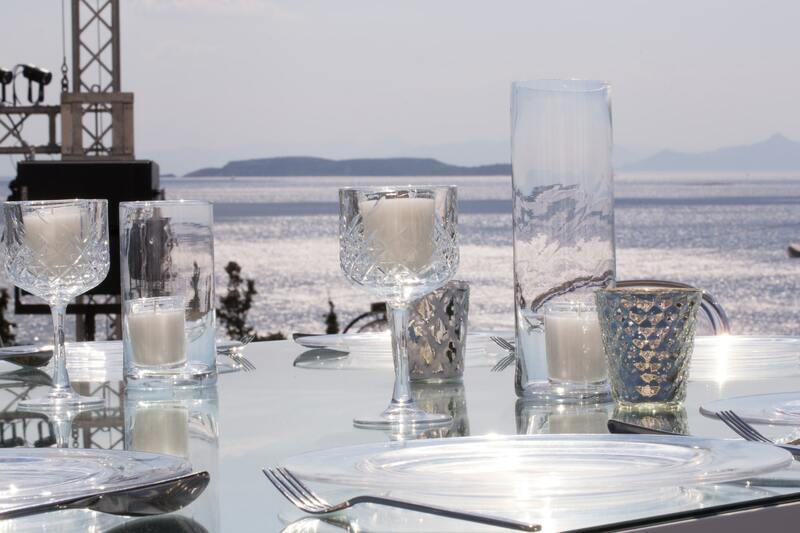 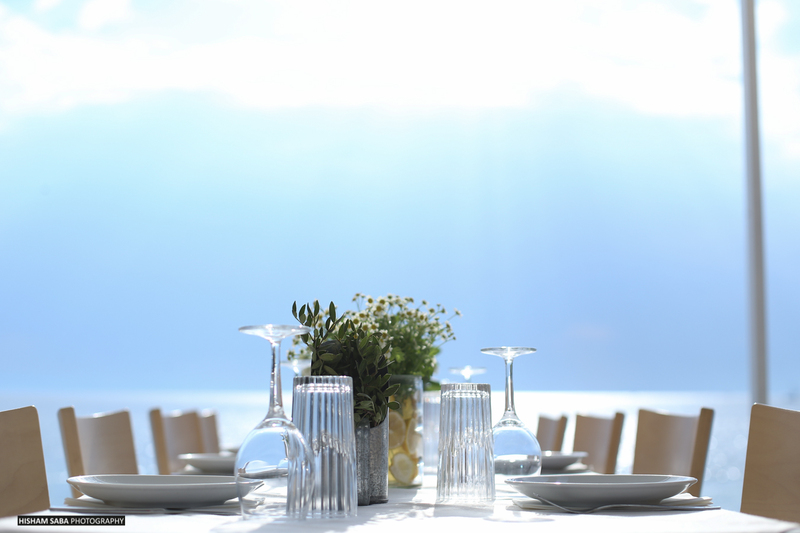 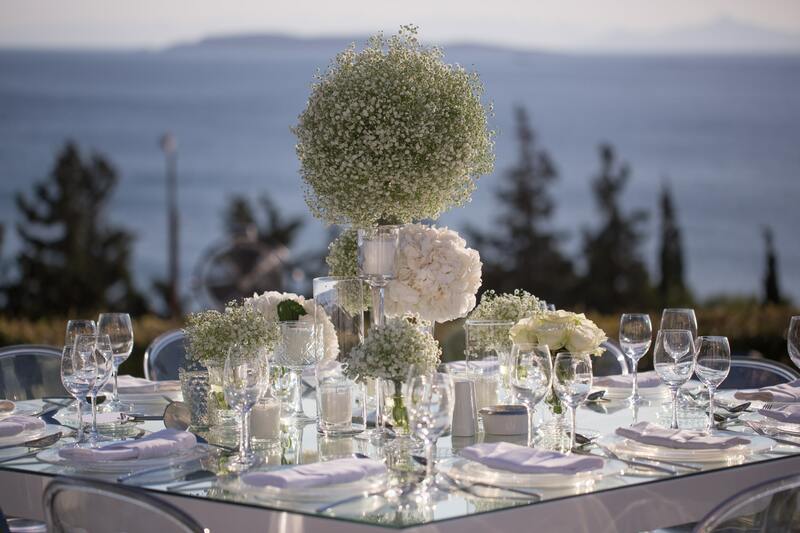 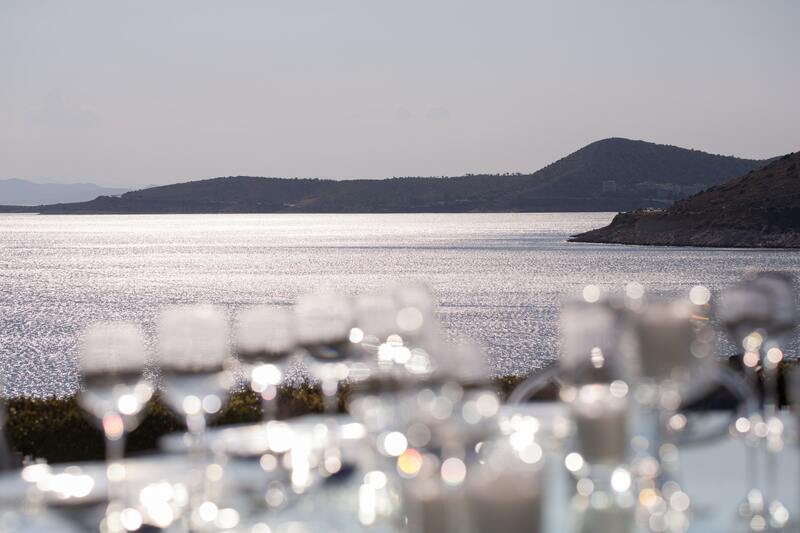 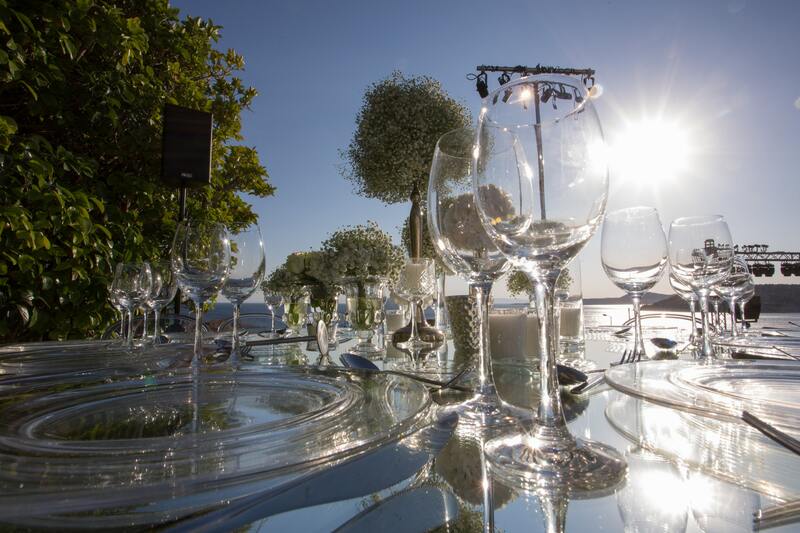 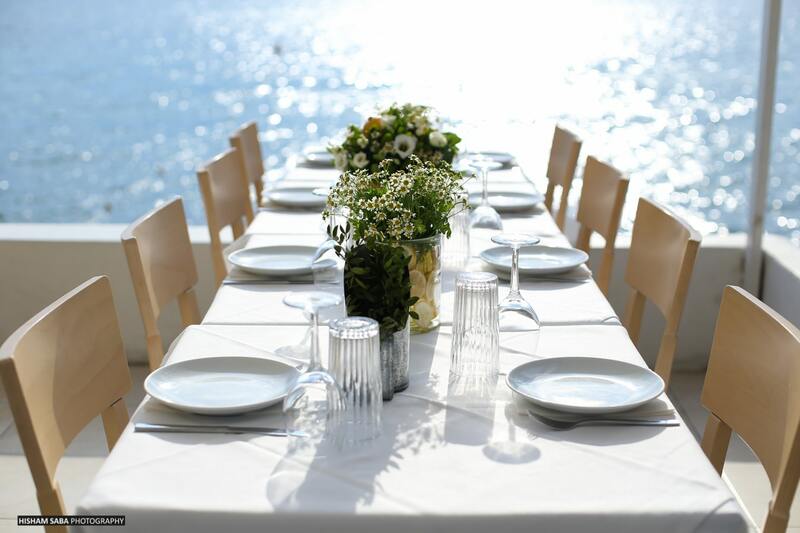 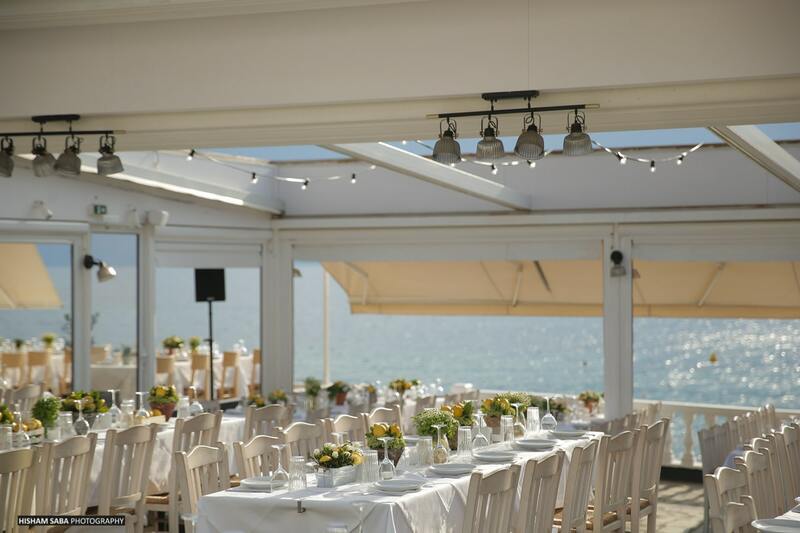 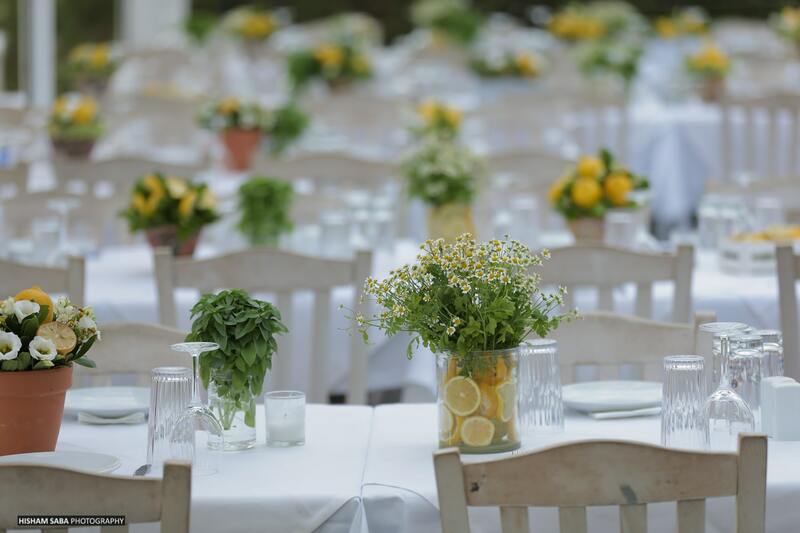 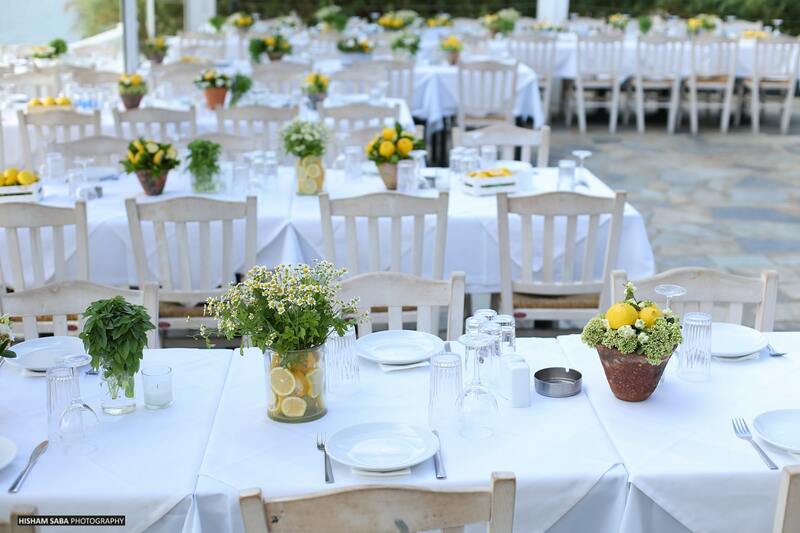 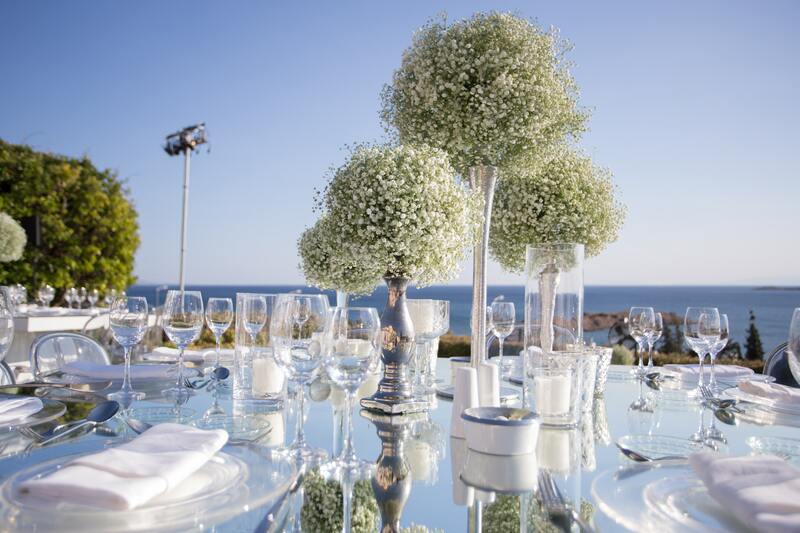 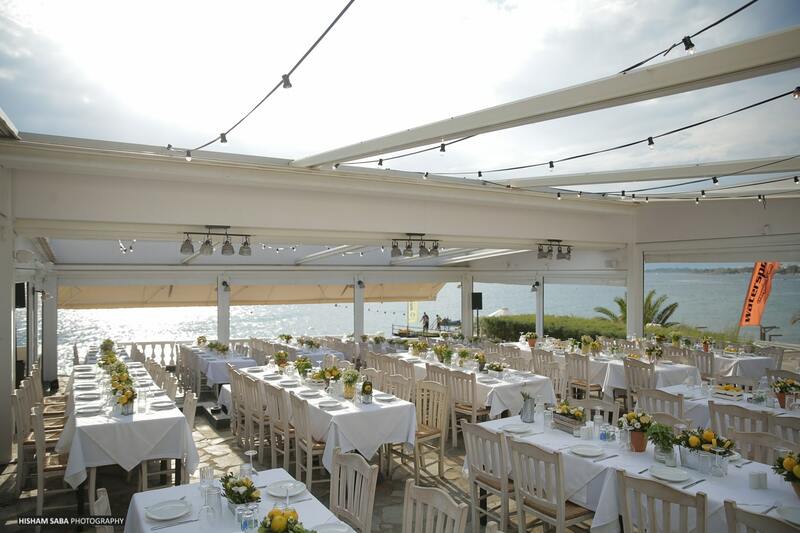 Celebration began with a cosy Pre-Wedding dinner by the sea at the Athenian Riviera. 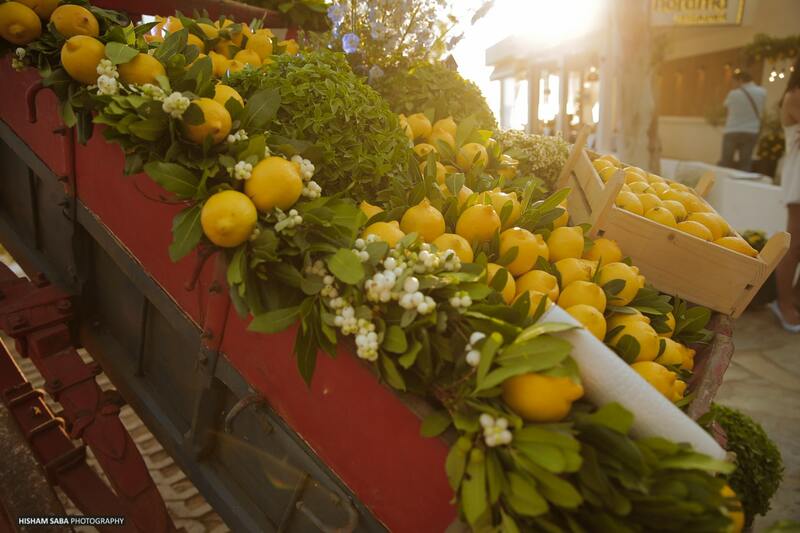 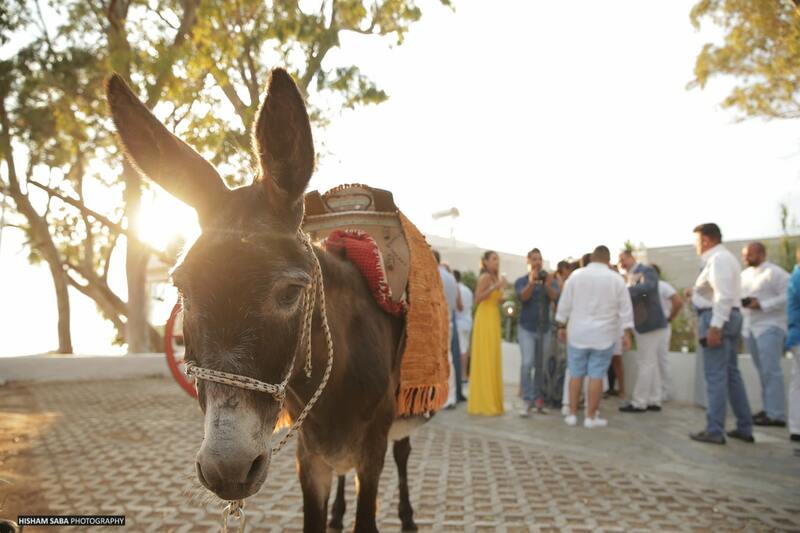 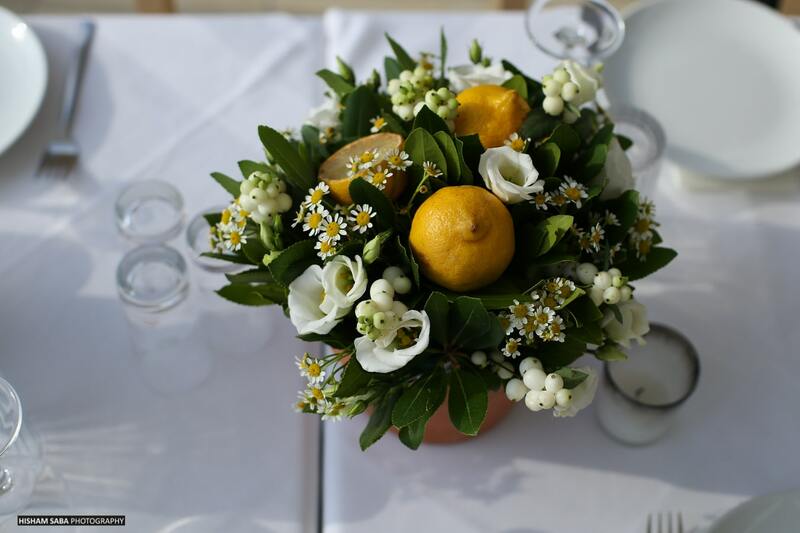 The theme was inspired by the Greek culture in a fish taverna by the sea, lots of lemons and basils and our mascot … ” Dorothy”, a cute donkey welcoming our guests at the entrance. 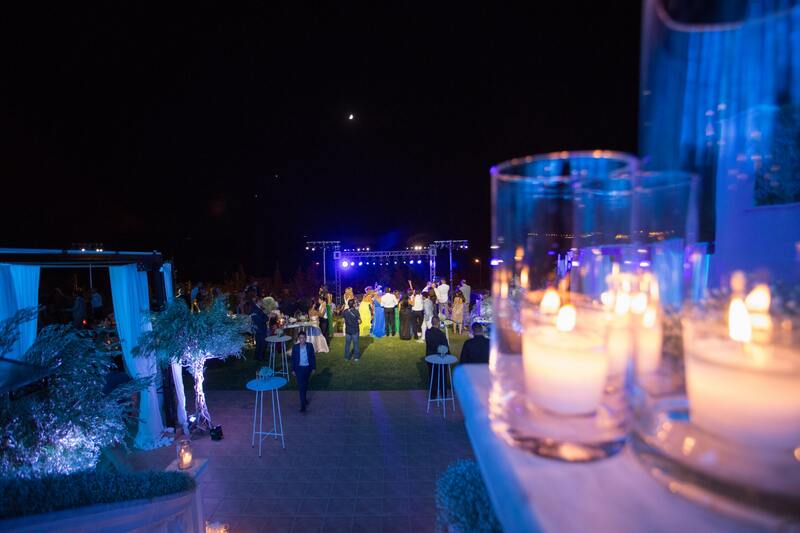 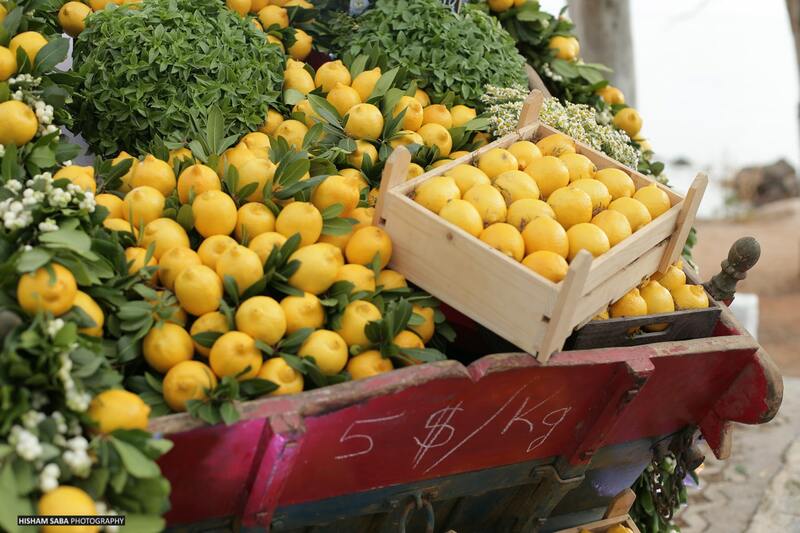 A mix of Lebanese and Greek music by the DJ boost up the party until sunrise. 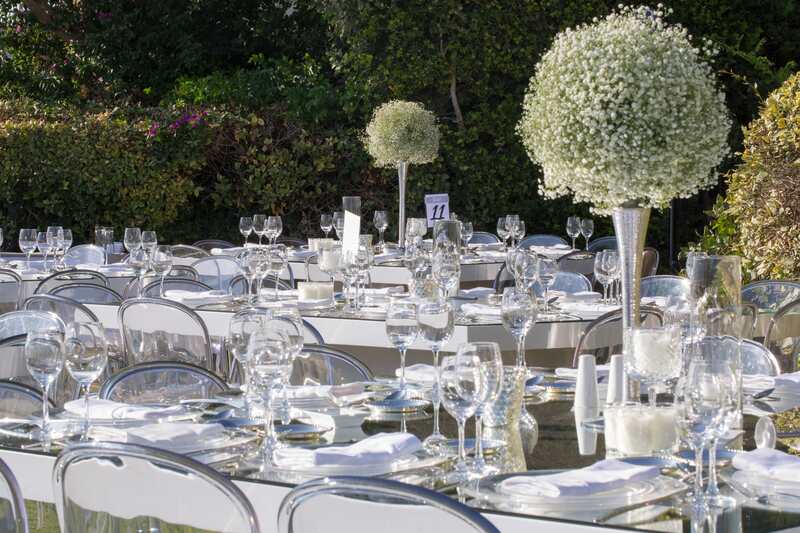 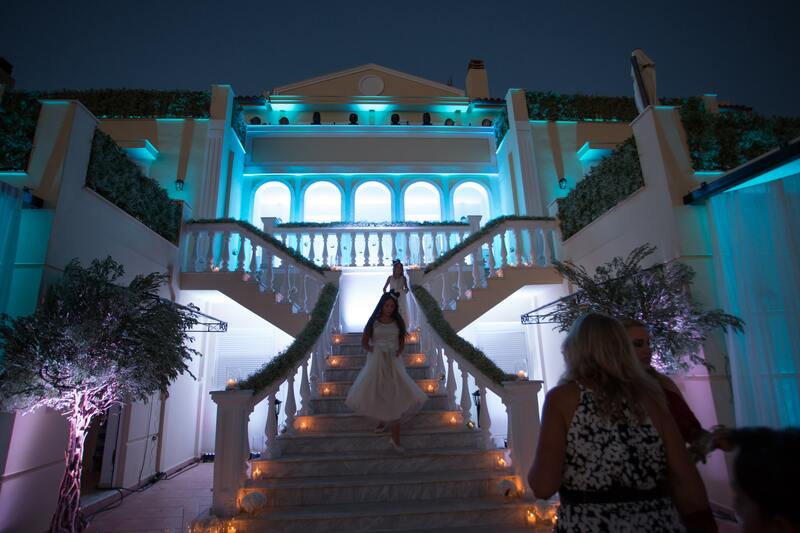 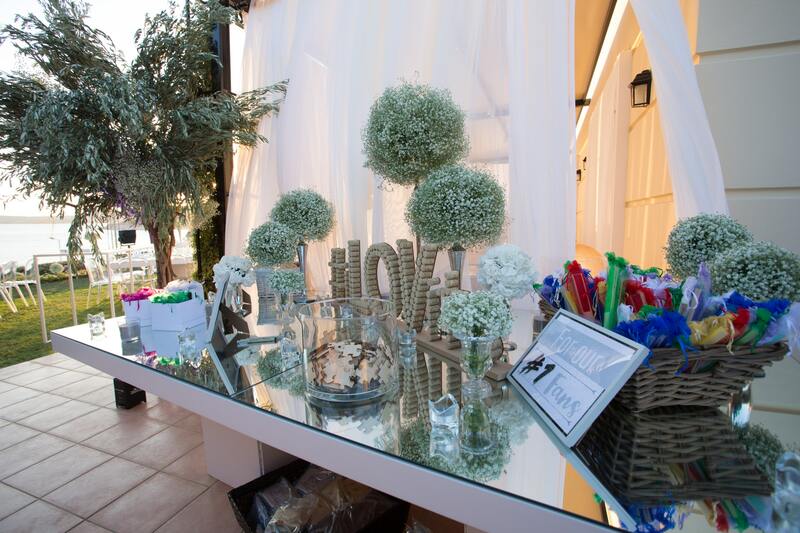 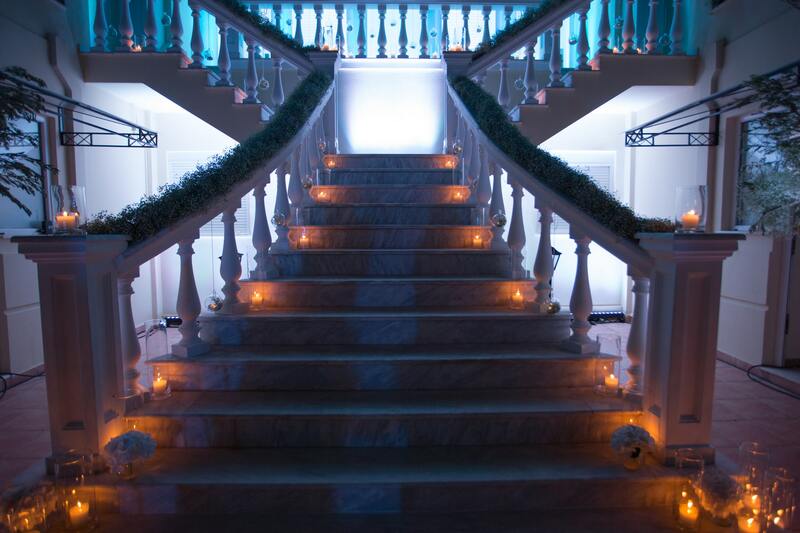 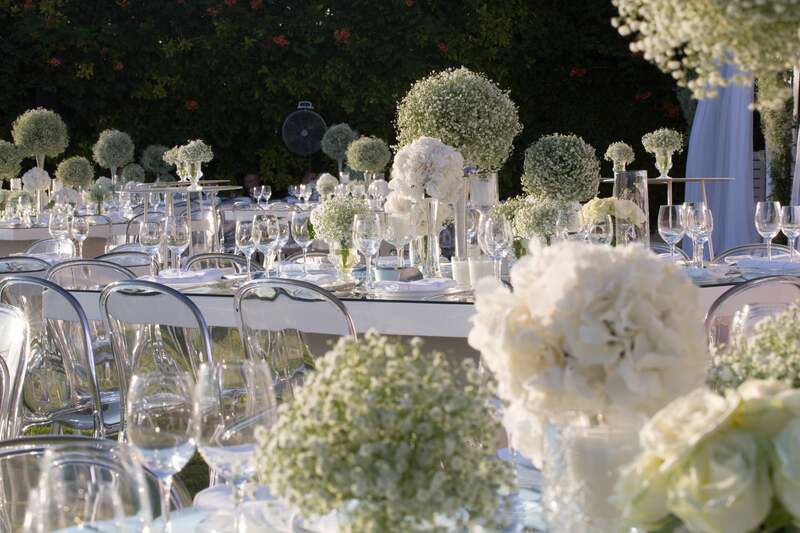 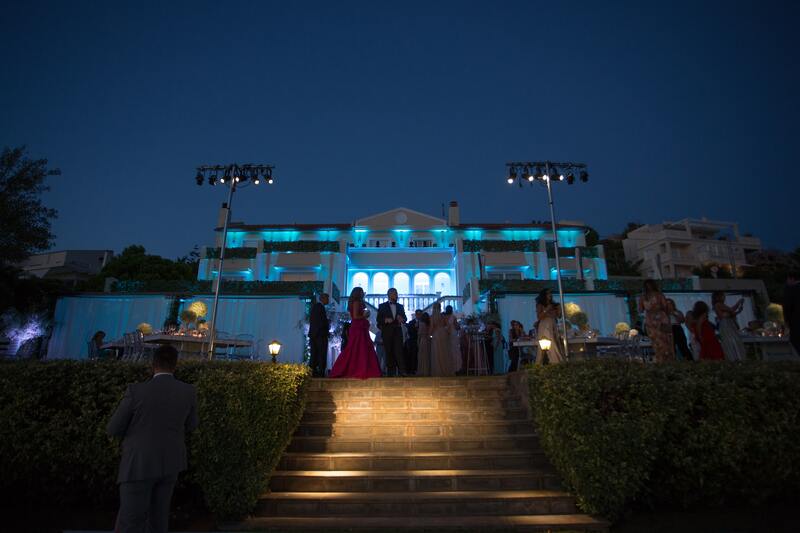 Our greatest challenge of this wedding was to transform K&L Villa into an elegant and sophisticated wedding venue. 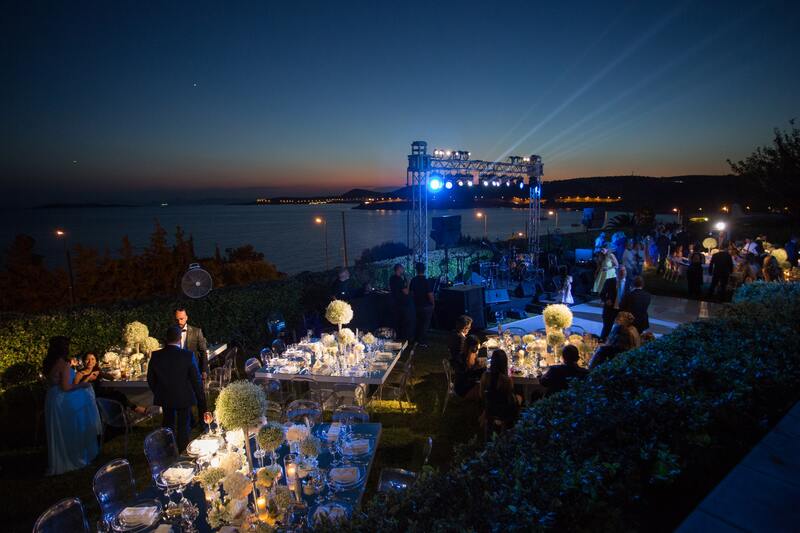 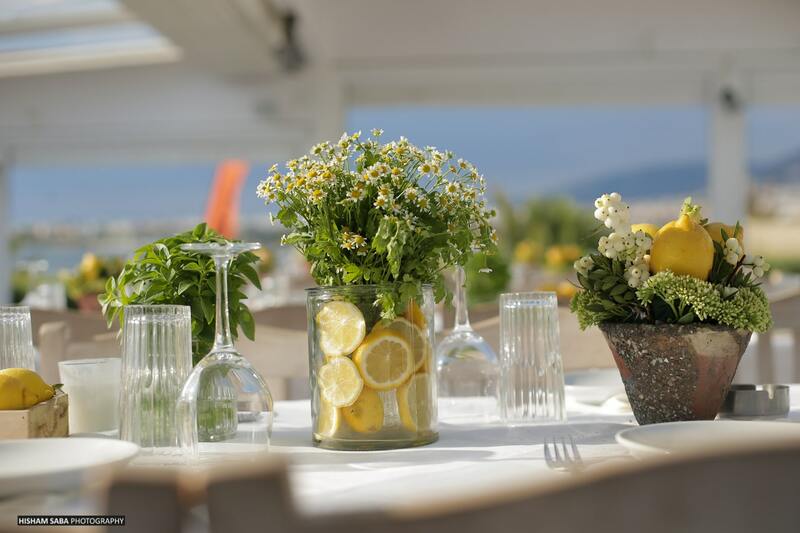 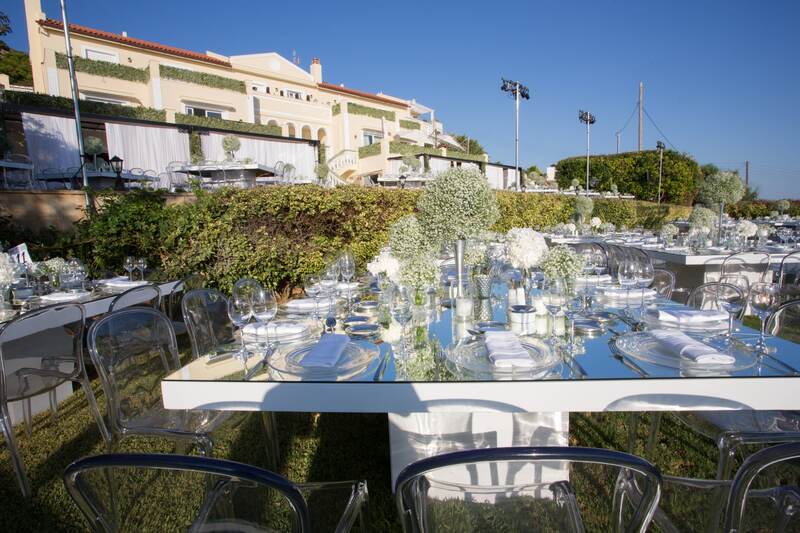 The stunning view from the house at the Athenian Riviera with the additional deco design by FYE – For Your Event, created an unforgettable atmosphere. 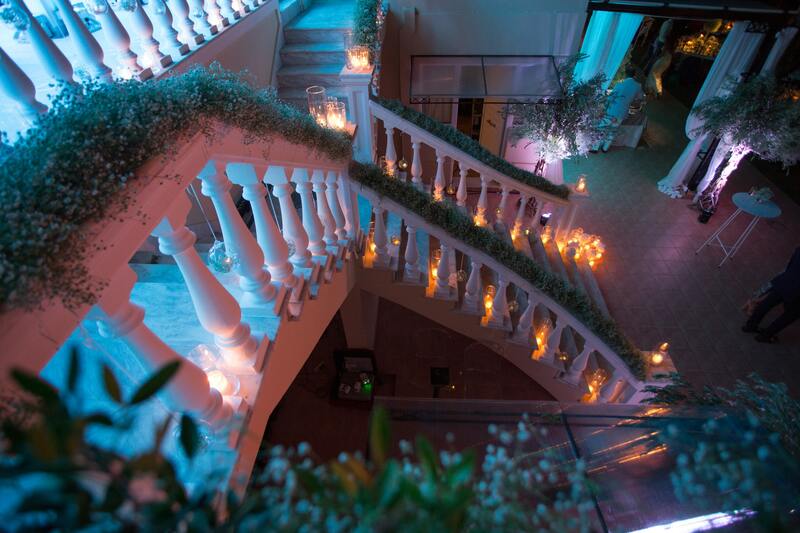 The house was decorated with lots of baby’s breath and olive leaves. 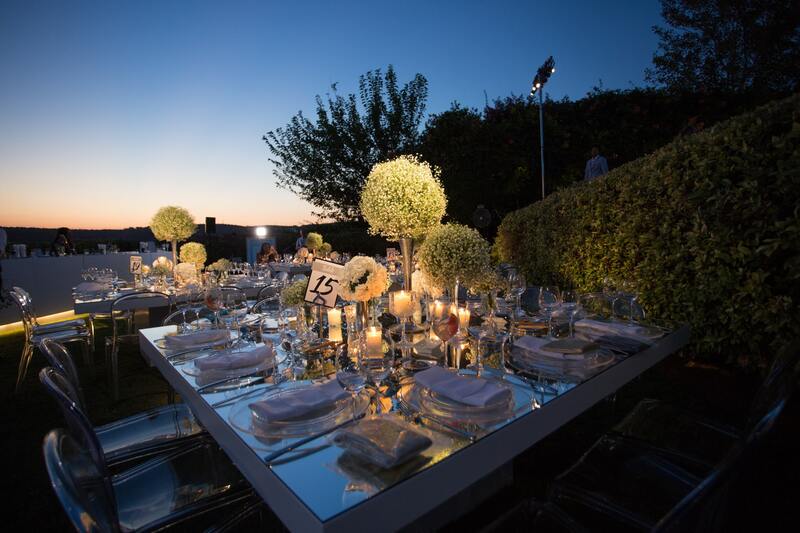 Mirror tables and plexi glass chairs gave a minimal aesthetics to the garden of the house. 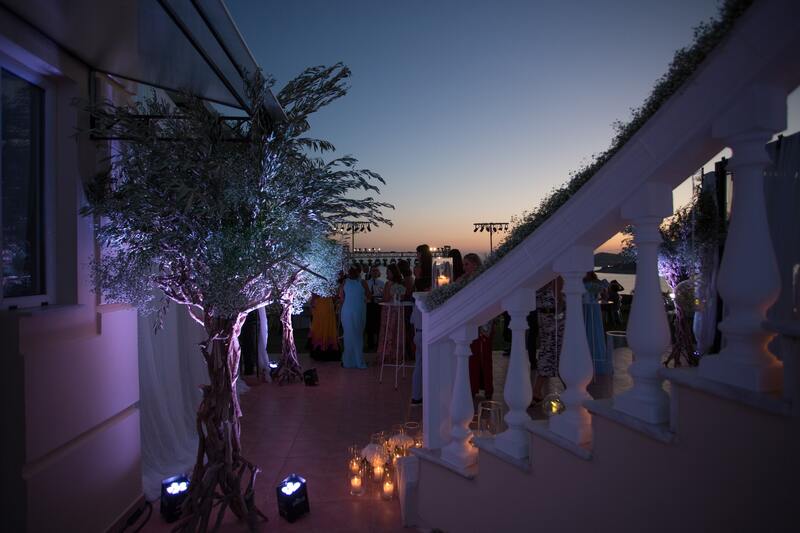 Spot Lighting installations were emphasizing the unique centrepieces on the tables and the lighting installations on the house, turned it into a … painting. 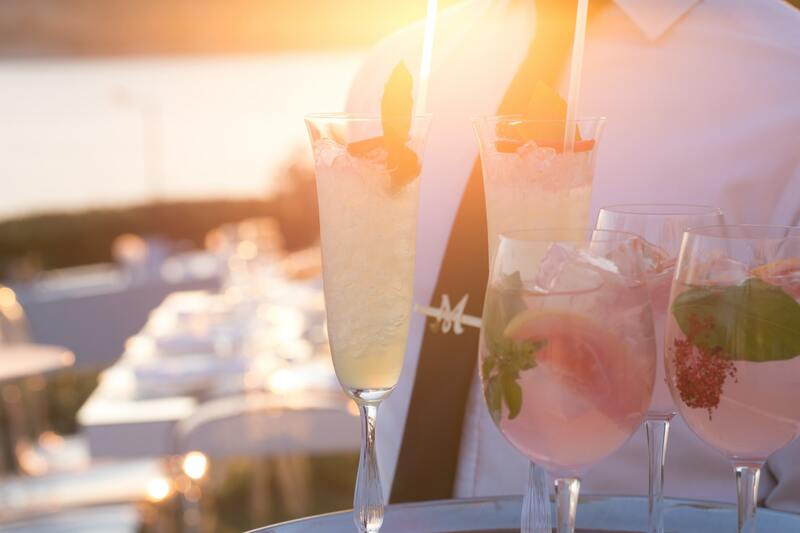 Dinner Menu was prepared by Begnis Catering while AK Bartenders undertook the make-of cool and tailormade cocktails. 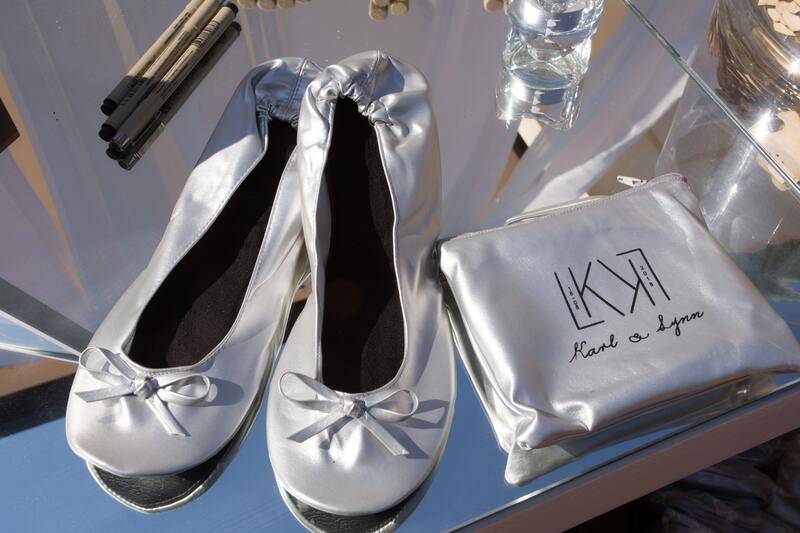 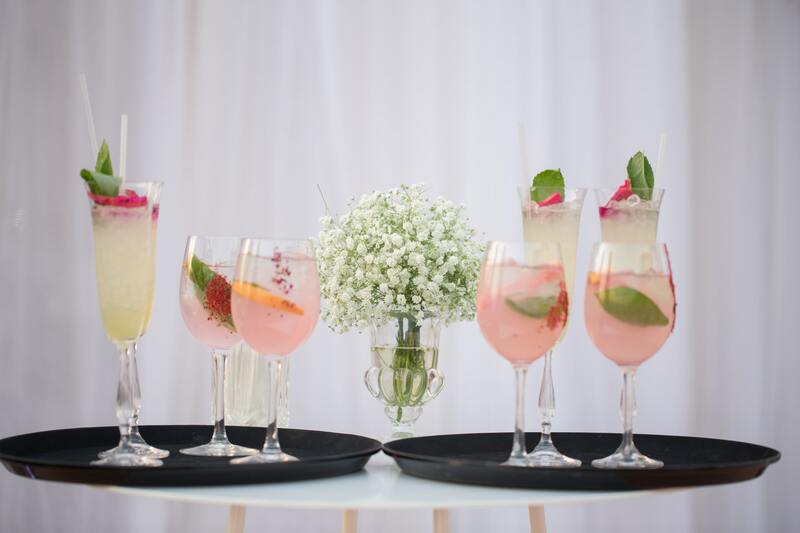 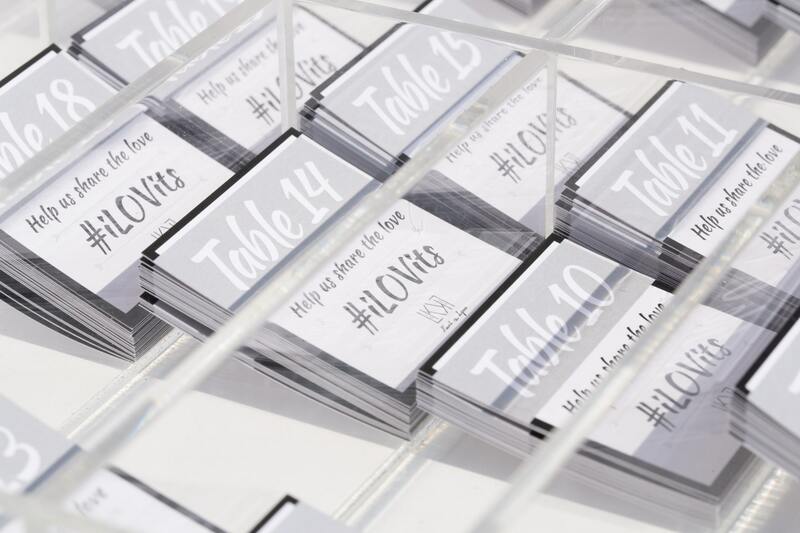 Several surprises that made the difference were there for the guests such as “meet your sole – mates”, “little treat for your dancing feet” and “In sickness and in health” as hangover kit for the next day after a crazy party. 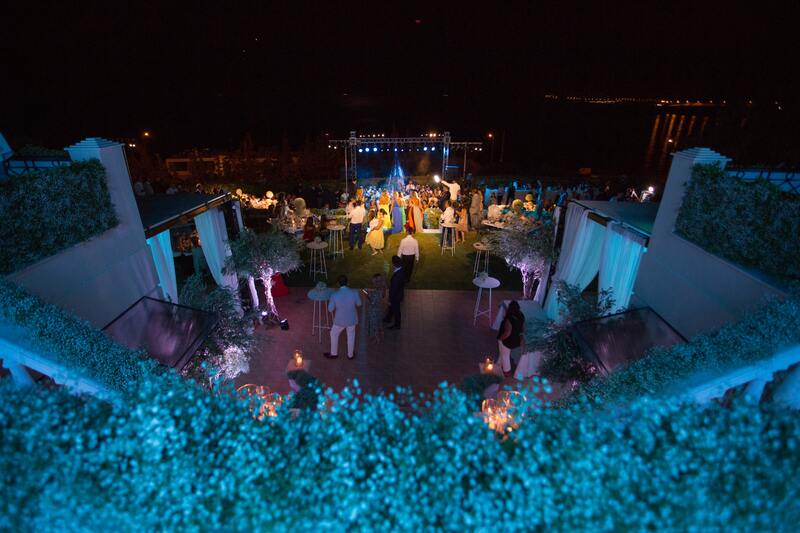 But the biggest surprize was the live performance of the famous Lebanese artist, Joseph Attieh who brought every single guest on the dance floor. 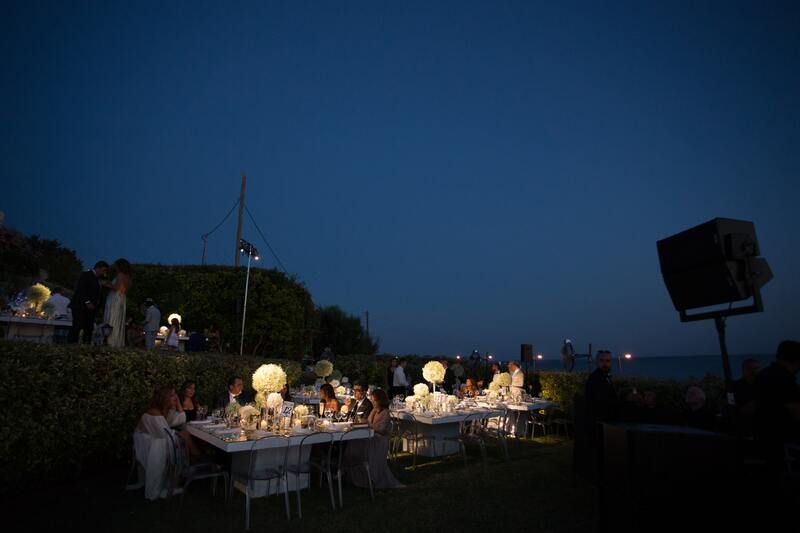 Wedding day backstage Photography : Manes P.